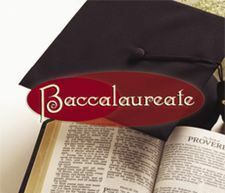 The Liberal High School Baccalaureate Service for all Seniors and their families will be Wednesday, May 16th at 7PM in the James Maskus Auditorium. There will be a special gift for all of the Seniors in attendance given on behalf of the Liberal Ministerial Alliance. The Baccalaureate Services are open to everyone.